Seed killing fungus widespread in area marshes again this year (video) | al.com: For the second year in a row, Alabama and Mississippi coastlines are suffering a widespread fungal outbreak that renders the seeds of one of the primary marsh grasses sterile. 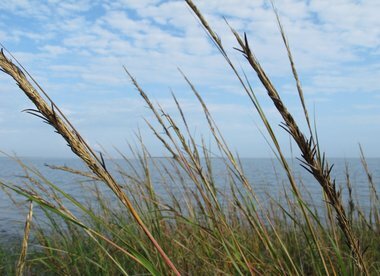 The fungus is a normal component of coastal marshes the world over, typically affecting 10 to 30 percent of the seed crop in any given year, according to U.S. Fish & Wildlife research on marsh communities of the Gulf Coast. In Africa, the Art of Listening - NYTimes.com: Many people make the mistake of confusing information with knowledge. They are not the same thing. Knowledge involves the interpretation of information. Knowledge involves listening. Americans and God - NYTimes.com: For some of us, the season affords an opportunity to reconnect with our religious heritage. For others, myself included, it’s a time to shake our heads over the sad state of our national conversation about God, and wish there were another way. Democrats could have done more, Re. 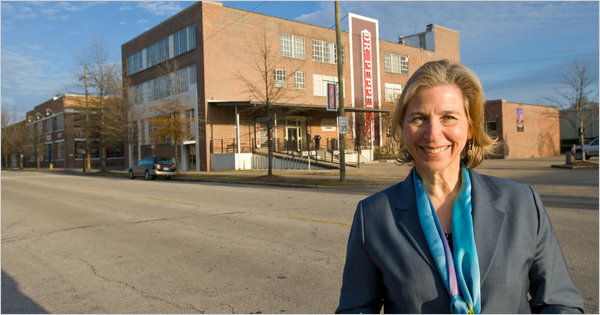 Patricia Todd said. Make a list of issues Alabama progressives ostensibly care about — repealing sales taxes on groceries and prescription drugs, reforming the tax code to make it less regressive, rewriting the state constitution, providing greater transparency. Do that, and you’ll have a list of Democratic Party failures of the last several decades. Alabama Department of Transportation to delay construction of Northern Beltline for in-depth study of route | al.com: The Alabama Department of Transportation has withdrawn its application for a permit to build the first segment of the proposed Northern Beltline until an in-depth study of the whole 52-mile route is completed. Alabama ranked No. 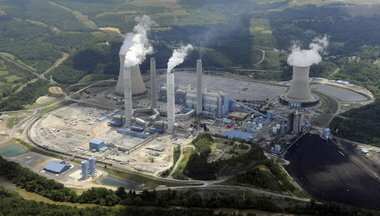 8 on list of 'Filthy 15' states for air pollution | al.com: Toxic emissions from Alabama's coal-fired power plants rank the state No. 8 among the "Filthy 15" states, according to a new analysis by the nonprofit advocacy group, Environmental Integrity Project. Birmingham's Railroad Park and connecting greenways envisioned along abandoned rail corridors and in the flood plains of urban streams fit nicely with a national movement to recycle cities. Linear Parks Are Reshaping Urban Landscapes: “The High Line has kicked into high gear the whole concept of reusing urban landscapes for parks,” says Peter Harnik, director of the Center for City Park Excellence at the Trust for Public Land. 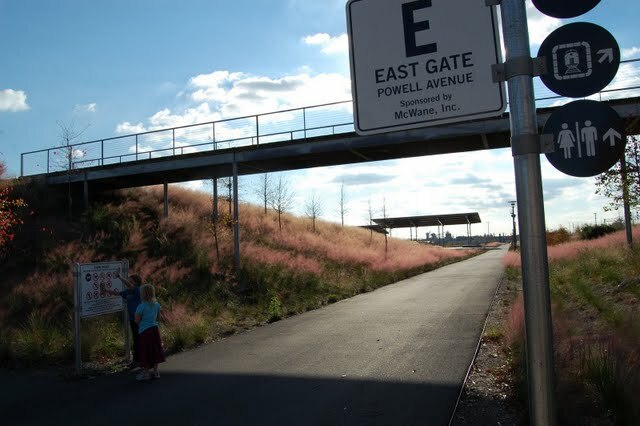 “City parks used to be about clearing space to create a flat area with parks and trees.” Now, that concept has been turned on its head, with parks that incorporate former railroads, bridges and factories. The emphasis is on reclaiming land, rather than razing it and starting from scratch. Perceptions of Migration Clash With Reality, Report Finds - NYTimes.com: PARIS — Perceptions of the impact of migration in some countries are so distorted that their citizens estimate that there are as many as three times the number of immigrants living there than is actually the case, a global migration body says in a report being released on Tuesday. Recycling to expand in Birmingham area | al.com: BIRMINGHAM, Alabama -- A major expansion of recycling efforts and options is under way in the Birmingham area, including a program to pick up glass from bars and restaurants and another to establish more recycling collection locations. The expansion is powered by two years worth of grants totaling more than $500,000 from the Alabama Department of Environment Management. The results of the grants, which were awarded to a partnership headed by the Jefferson County Department of Health, will become more evident this month and will roll out throughout next year. "It's just a massive expansion of recycling," said Michael Churchman, executive director of the Alabama Environmental Council, a major player in the effort. Lone, perhaps lonesome, coyote roams streets of Homewood | al.com: HOMEWOOD, Alabama -- Residents of the Edgewood area reported seeing a coyote slinking along the streets Thursday morning, and that comes as no surprise to Homewood Animal Control Officer Robbie Bagby. Bagby has received several reports of the coyote and even sighted him once. Bagby believes that he is a solo older male. "He most likely has been challenged and run out of his pack," she said. 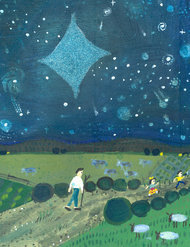 "He is just wandering from place to place." Apache Corp. plans new gas well to be drilled off Gulf Shores | al.com: MOBILE, Alabama -- A large jack-up drilling rig will plumb a new well in federal waters south of Little Lagoon in Gulf Shores starting this week, said officials with Apache Corp. 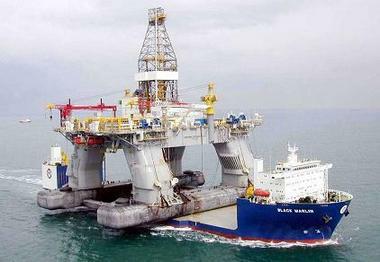 The drilling rig is in transit across the Gulf and could arrive off Alabama’s coast as early as today. According to research reported by John Tierney of the New York Times we have a lot of reasons to be thankful. Cultivating an “attitude of gratitude” has been linked to better health, sounder sleep, less anxiety and depression, higher long-term satisfaction with life and kinder behavior toward others, including romantic partners. A new study shows that feeling grateful makes people less likely to turn aggressive when provoked, which helps explain why so many brothers-in-law survive Thanksgiving without serious injury. Alabama’s ruling class has dug in against the storm it caused with the nation’s most oppressive immigration law. It vows no surrender. Some of the law’s provisions have been blocked in federal court; others won’t take effect untill next year. But many Alabamans aren’t waiting for things to get worse or for the uncertain possibility of judicial relief or legislative retreat. They are moving now to protect themselves, forming alliances and learning their rights. A growing number of Alabamians say the price will be too high, and there is compelling evidence that they are right. Former NYTIMES editor Howell Raines writing for CNN: Alabama governors have history of laws tackling nonexistent problems. 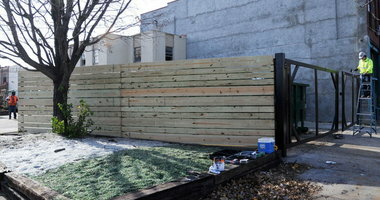 Building an inexpensive shelter that would stand up to an EF5 tornado. But if there is any place where bigotry does not go unrecognized, it is Alabama. There are, of course, significant distinctions between the civil rights movement and the fight for immigrant rights. African-Americans have endured 400 years of oppression, and toppled laws created to deny their equality and to brutalize them. Unauthorized immigrants are a group who arrived by choice, mostly. They are living outside the law, and want in. Railroad Park in Birmingham gets national attention (with slideshow): Travel writers society gives the Birmingham park an award. 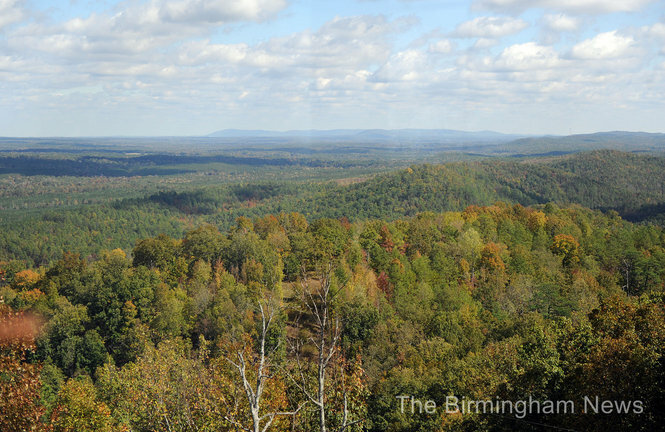 Link: Alabama's Flagg Mountain eyed as trailhead for Appalachian Trail extension along Pinhoti Trail | al.com. 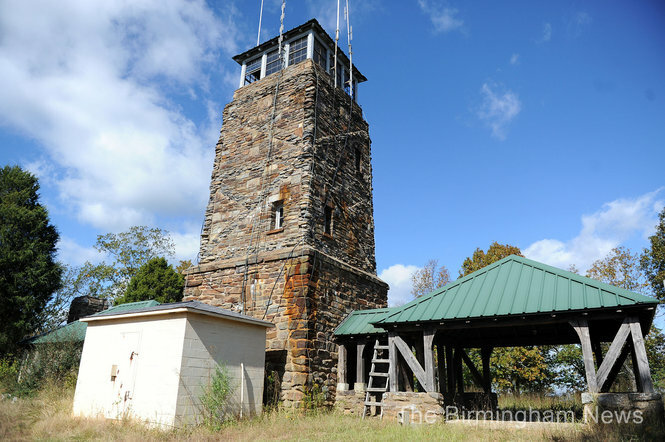 EXCERPT: From the old CCC-built fire tower atop Flagg Mountain, you can look out on an unobstructed 360-degree panorama: diminishing green hills and valleys playing out to the south and west, and to the north and east the rising ridges of the Appalachian Mountains, with the trees just beginning to turn to autumn colors. In the minds of some dreamers, this dramatic view should be a first sight for hikers to behold as they set off for Maine on the Appalachian Trail. 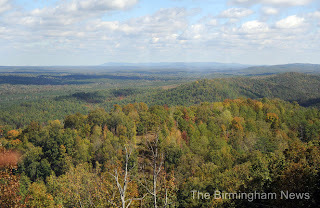 At 1,152 feet, Flagg Mountain is, according to at least one common definition, the southernmost Appalachian mountain. Heres' a complete selection of pictures taken by Birmingham News photographer Michelle Williams. 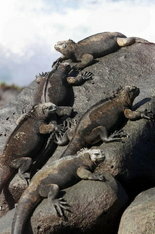 Climate change is shrinking size of many animals, University of Alabama researcher says | al.com: From sheep in Scotland, to the common toad, to marine iguanas on the Galapagos Islands, numerous varieties of animals are shrinking in body size in an apparent response to climate change, according to a new paper co-authored by University of Alabama post-doctoral student Jennifer Sheridan. Icon Fred Shuttlesworth, overlooked by history, breathed life into civil rights story | al.com: BIRMINGHAM, Alabama -- Alabama is the only state in the country where the K-12 history curriculum mentions the late civil rights leader Fred Shuttlesworth. Historians say that's a shame, considering his key role in events that shaped the nation, but it's also not surprising, since the history of the movement is given relatively short shrift. This piece, turned around quickly after the release of Census data, bores deep down to capture a trend that is not readily apparent in the over all data. 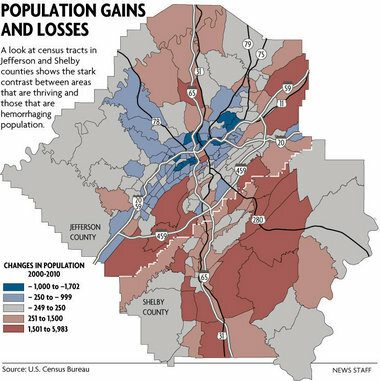 Buried in the gloomy news the 2010 U.S. Census delivered for the city of Birmingham was at least a glimmer of hope: Two census tracts comprising downtown and UAB gained population over the past decade, a trend that can be capitalized on going forward if the city makes a concerted effort. "There needs to be a plan," said Jeremy Erdreich, an architect involved in downtown redevelopment.